Today was an amazing and highly entertaining show featuring two great guests. 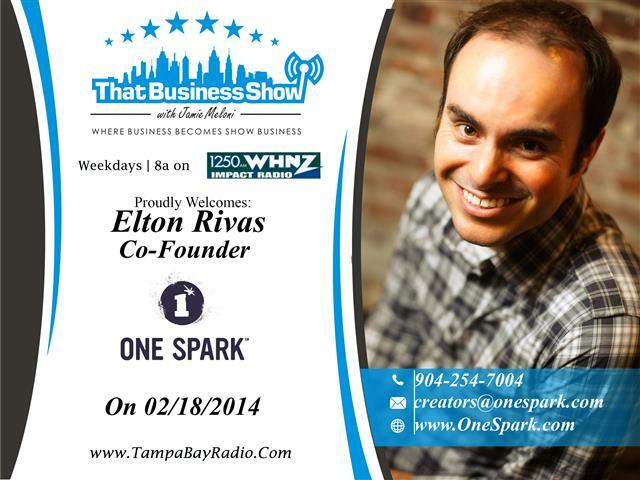 First up was Chris Krimitsos, Founder of the Tampa Bay Business Owners Group to discuss his latest project – the launch of StoryJam Theater, a podcast that promotes great stories from the community. 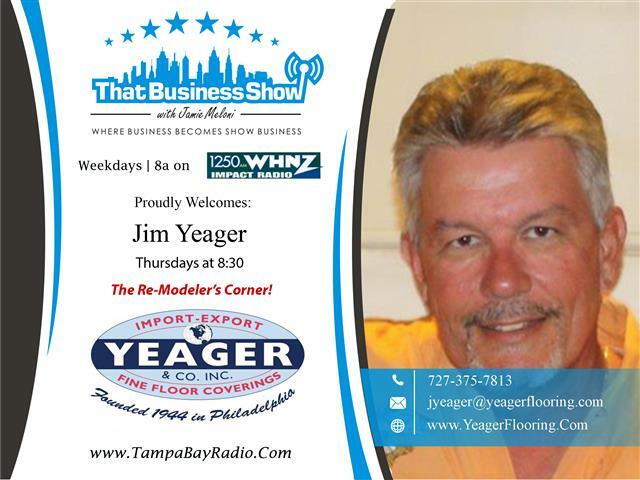 Chris told some great stories himself on the show today including the lesson learned at a young age from his Uncle Jimmy about understanding your value and not letting customers that do not value your product or service to control too much of your business. He also told a great story about a young video producer from Orlando that missed a huge opportunity over making an emotional decision stressing the importance to think logically when analyzing business opportunities. 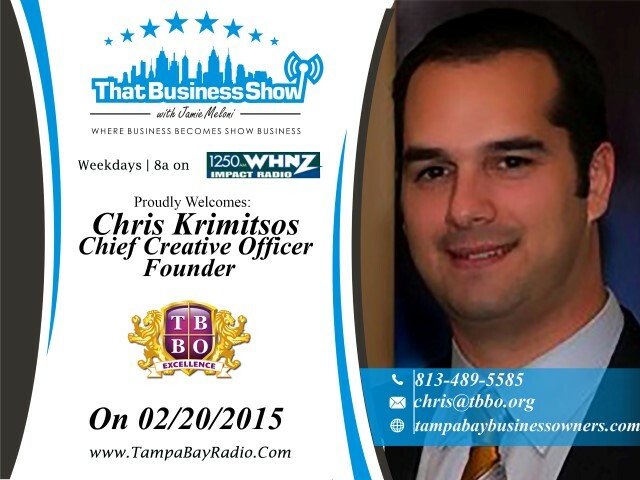 Learn more about Chris at http://www.tbbo.org or contact him directly at 813-489-5585 or email at chris@tbbo.org. Also, help support his Podcast on iTunes and search for StoryJam Theater! 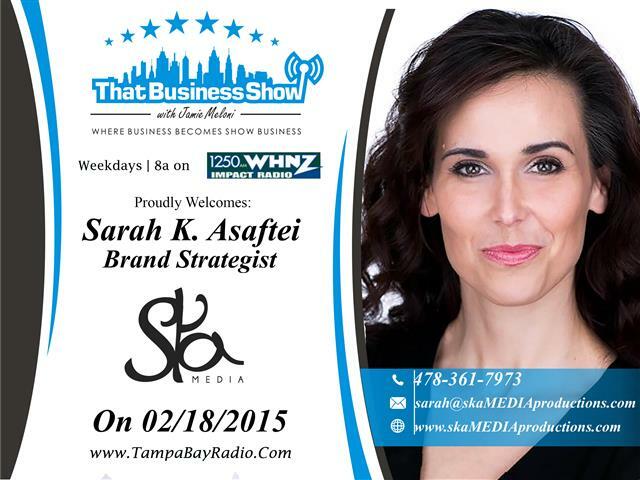 On the 2nd half of the show was Steve Gavatorta, a business consultant, trainer, and coach and author of the book The Reach Out Approach, A Communication Process for Initiating, Developing and Leveraging Mutually Rewarding Relationships. Steve spoke of the importance of developing trust in relationships and we spoke at great length about the use of DISC profiles which analyze personality traits of people and how they can be used as an effective tool to consult with business owners when dealing with staff, or analyzing business counterparts. 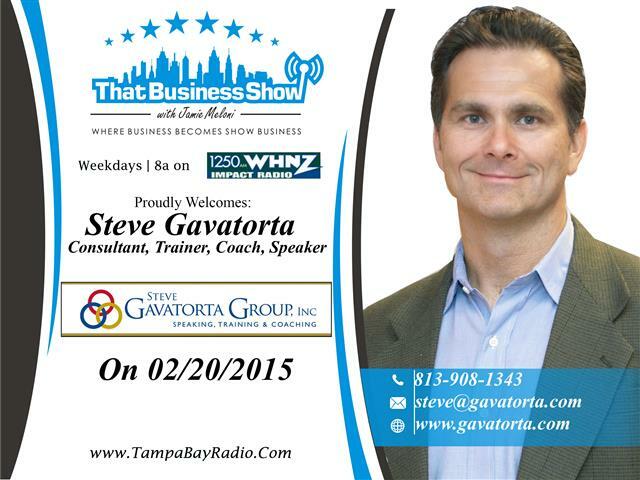 Chris contributed some great insight and stories to this segment as well and you can learn more about Steve at his website http://www.gavatorta.com or contact him at 813-908-1343 or email at steve@gavatorta.com and ask him how he can help you in your business! 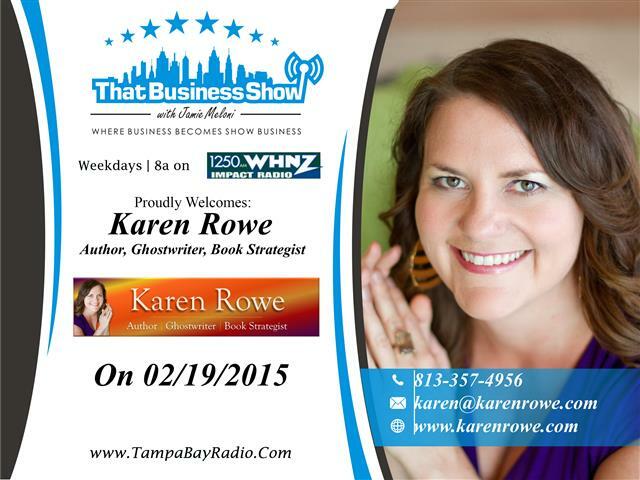 Today was another informative and entertaining show featuring two Rock Star business professionals. 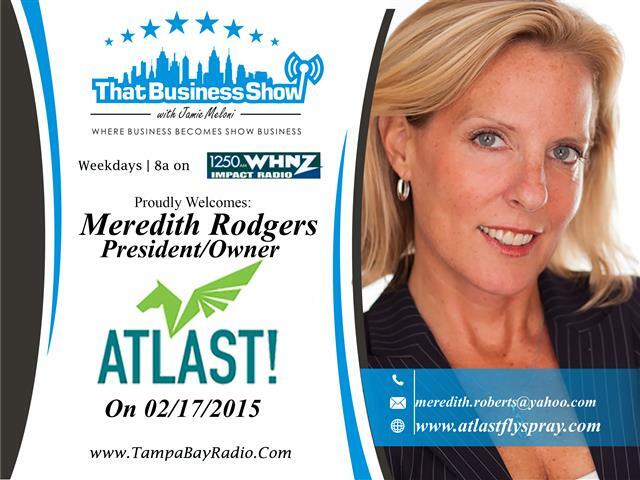 Meredith Rodgers spoke of the entrepreneurial path that took her out of corporate America and into her own business Atlast! Her company has 4 all natural products designed for pest, flea, and tick prevention. The Atlast products rely on a Cedar based solution that is not chemical and does not carry many of the health hazards associated with the common products we see in the marketplace. Her products can be found in Whole Foods and she has been featured on a variety of programs promoting this great product. Learn more about this fascinating product at http://www.atlastflyspray.com or contact Meredith directly at meredith.roberts@yahoo.com. 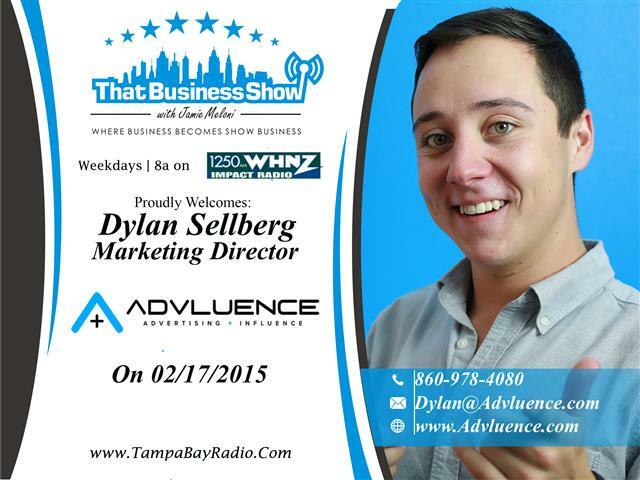 Also joining me in studio today was Dylan Sellberg, Marketing Director of Advluence. Dylan is a young and highly accomplished marketing enthusiast that is very in touch with the marketing niches of the Millennial generation. He is a Marketing chairmember on the Board of Counselors at the University of Tampa and his work has been featured in USA Today, Nadiga Lundtan Economics Magazine and in several local publications. He has a Masters Degree in Marketing and Brand Management from Lund University in Sweden. Learn more about Dylan at http://www.advluence.com or contact him at 860-978-4080 or email at Dylan@advluence.com to see how he can assist you with your marketing needs.